More than ten months have passed since the U.S. consulate in Benghazi, Libya was attacked, leaving four Americans dead including U.S. Ambassador to Libya Christopher Stevens. 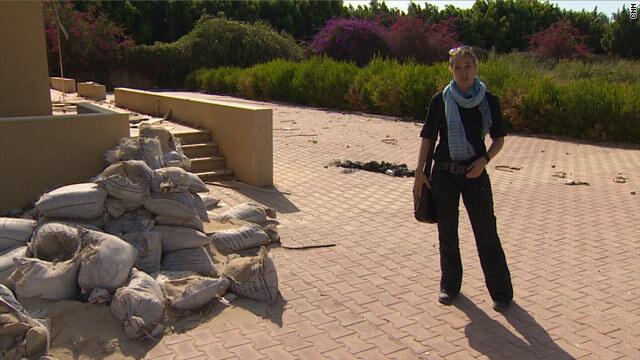 In “Return to Benghazi” CNN’s senior international correspondent Arwa Damon – who reported from Benghazi soon after the attack last September – goes back to see where the investigation stands. “Return to Benghazi” premieres Friday, July 19 at 1130ET on CNN International. The half-hour special replays Saturday, July 20 at 0900ET and 1630ET, and Sunday, July 21 at 0530ET and 2330ET.